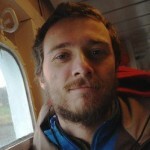 Cyprian Laskowski has a PhD in linguistics from the University of Edinburgh and a BSc in computer science from the University of British Columbia. He participates in various Slovenian language technology projects, such as the lexical database, a collocation dictionary, corpus development and language-learning applications. His work includes the writing of computer scripts for converting, analyzing and enriching linguistic data, collaborating in the technical development of linguistic corpora, developing software for linguistic applications, and installing, maintaining and administering IT servers.